JIG is delighted to announce that Laura Flynn of ASIG will be joining the JIG Common Processes Committee with immediate effect. Laura joined ASIG in 2001 and has held several management positions at ASIG, gaining extensive knowledge in airport operations covering storage, hydrant and into-plane. 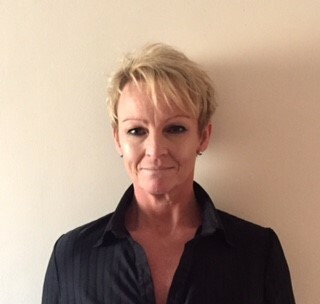 Laura has also spent time as General Manager at London Stansted Into Plane, and is currently working back with the ASIG fuels as Team Manager for Operational Standards, where she has leadership responsibilities for PQ, standards, training and HSSE. Laura’s experience in quality management and safety systems as well as operating procedures, will bring great benefit to the JIG Common Process Committee, and her knowledge and utilisation of JIG’s Dashboard will help drive JIG’s goals to widen the opportunity for JIG’s members to adopt the Common Processes and leverage the powerful tools of the JIG Dashboard. ASIG, one of JIG’s earliest Members since 2003, has been a great supporter of JIG and its Committees, who are dedicated to developing processes that will improve safety and efficiency in the aviation fuels world. Tony Conway, JIG General Manager, commented, “JIG is delighted that Laura is joining the CP Committee. JIG is delivering further inclusivity for the ever-growing membership, widening the knowledge base of the JIG Committees. We know how hard JIG’s Committees work, and the level of contribution that the individual Committee Members make. Laura’s experience will add to that resource, and the improvements already being made by the JIG CP Committee, which last year added its first JIG Member representative, Nicos Kontaxis, of OFC”.